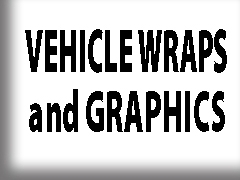 We have custom banners in any size you need. We carry both 13 oz. and 18 oz. vinyl material. Retractable banners and other specialty items are also available. 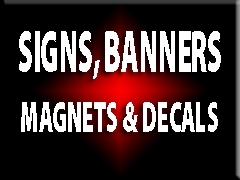 Speedway Signs is your sign shop in Tucson with many substrates and options available. Indoor signage, outdoor signs and real estate signs are just a few of our specialties. 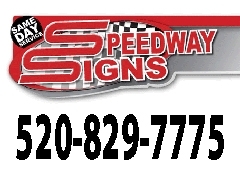 Call Speedway Signs for all of your indoor and outdoor sign needs. We provide custom graphic designs on a wide variety of materials – many sizes are available. We design, print and install, signs, magnets and decals in Tucson and surrounding communities. Speedway Signs offers a diverse selection of a-frame and swing-frame styles and sizes. Our quality sidewalk signs are perfect for store front advertising on a budget. These portable signs are designed for outdoor installations at retail locations and events. Check out our portfolio page! © 2018 Speedway Signs. All right reserved.